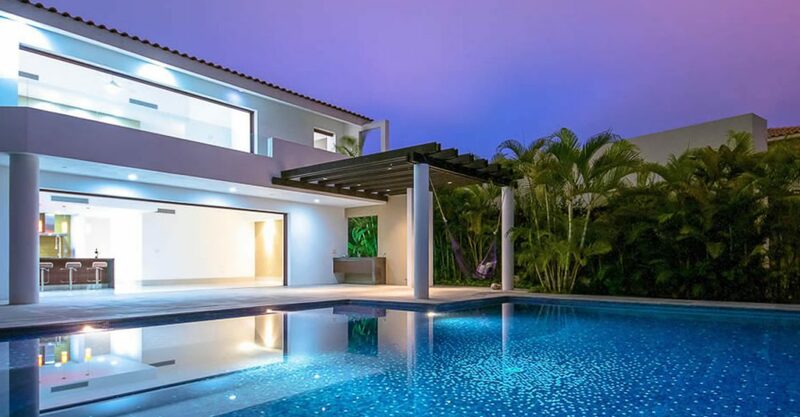 5 bedroom home for sale in Mexico set along the beautiful El Tigre golf course in Nuevo Vallarta in the province of Nayarit. 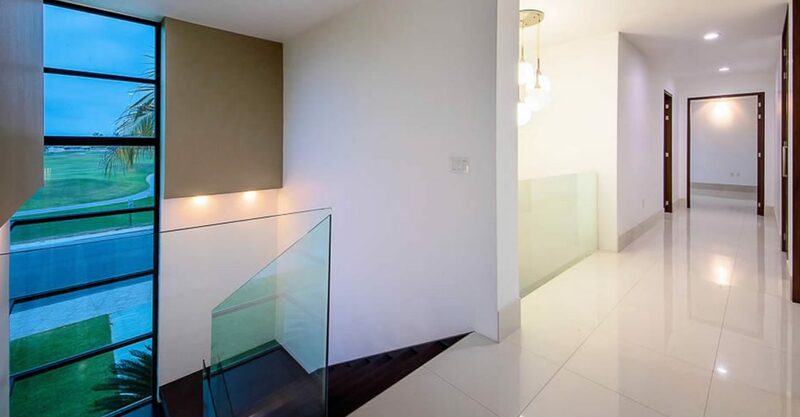 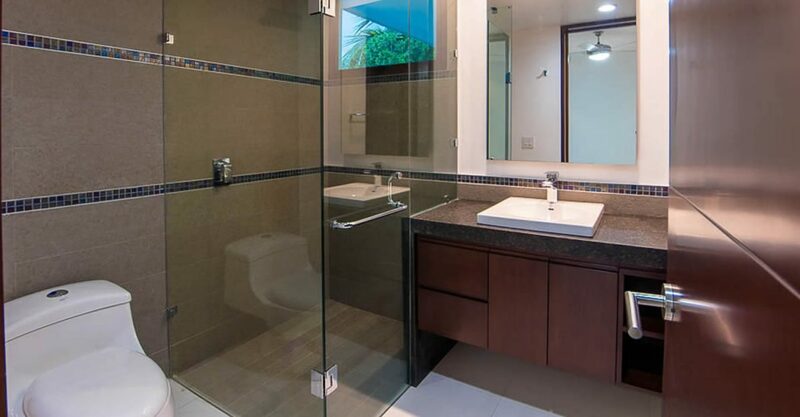 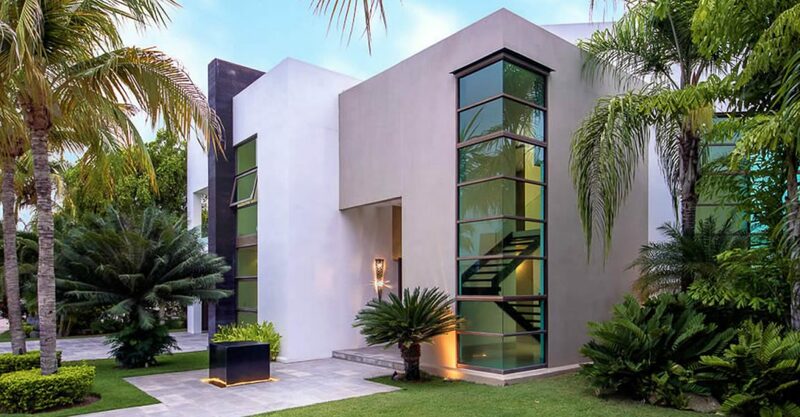 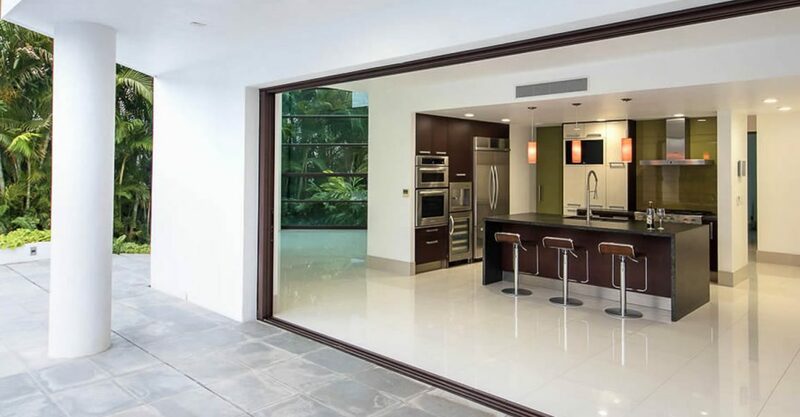 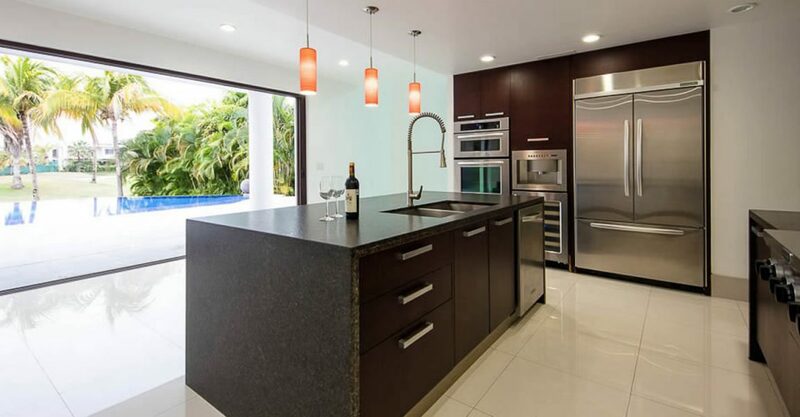 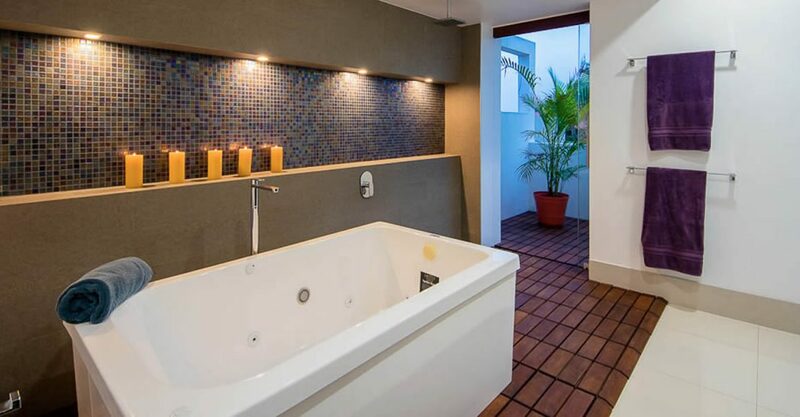 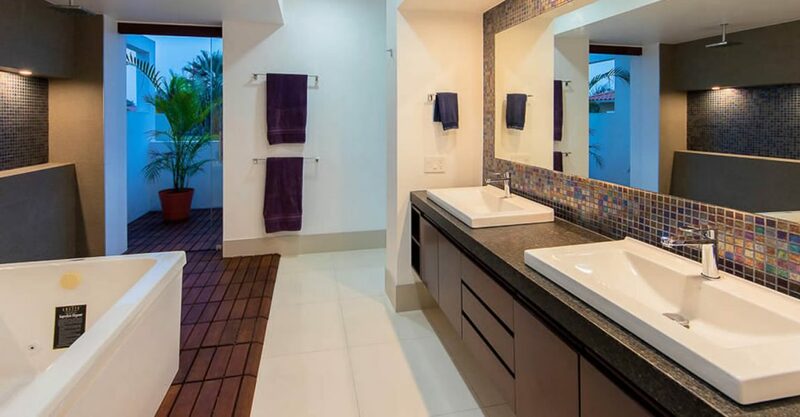 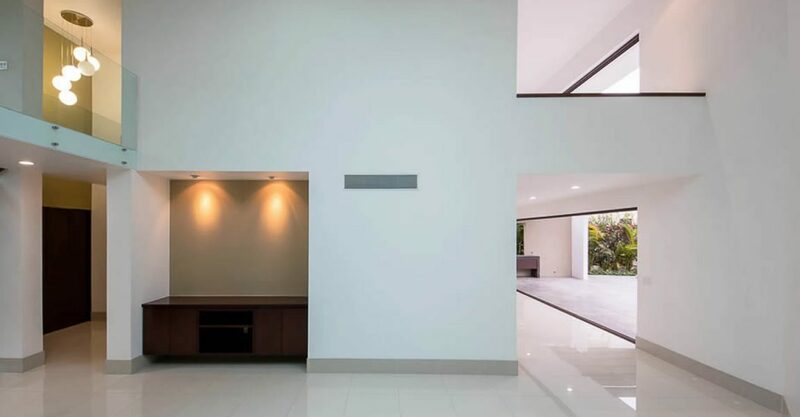 This stunning contemporary home is set along the beautiful El Tigre golf course in Nuevo Vallarta in the province of Nayarit on the Pacific coast of Mexico. 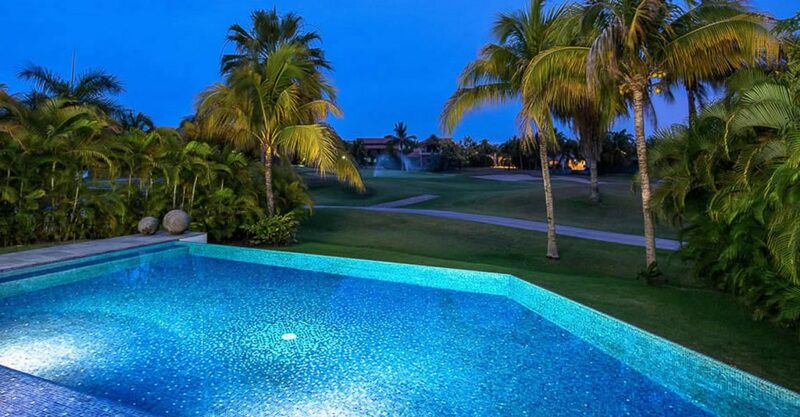 Strategically positioned, the home offers beautiful golf course views from 2 sides of the house. 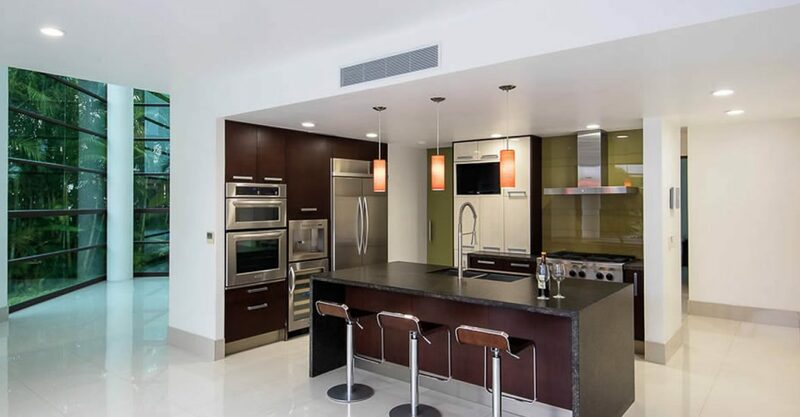 The striking interior features a 2-story living room, spacious dining room / flex area for entertaining and beautiful modern kitchen with high end appliances and pantry. 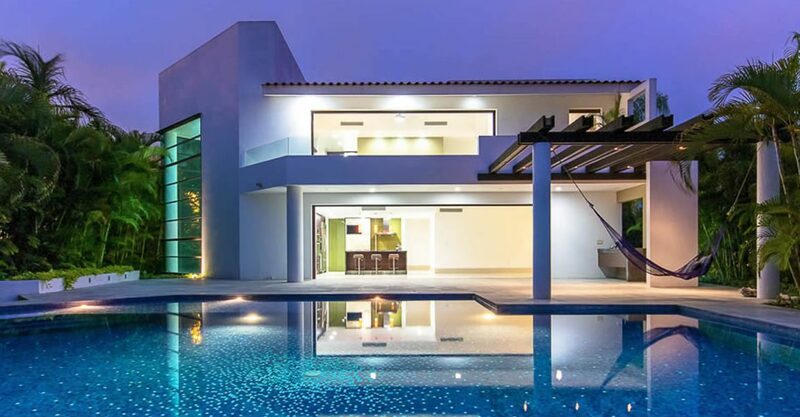 The main living area opens via huge glass sliding doors to a spacious patio ideal for entertaining with large pool featuring luminescent tiles that sparkle at night, BBQ area, pergold, outdoor shower and bathroom. 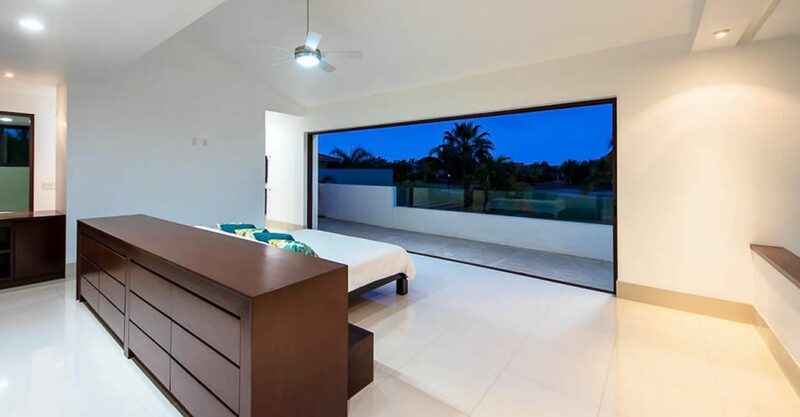 The home offers a total of 5 bedrooms, including a large master bedroom with a sizable terrace, en suite bathroom, walk-in closet, built-in dresser behind the bed and and views of the golf course, as well as 2 upstairs guest bedrooms which share a bathroom, a maids room on the ground level and a media room also on the ground level which could be used as the fifth bedroom. 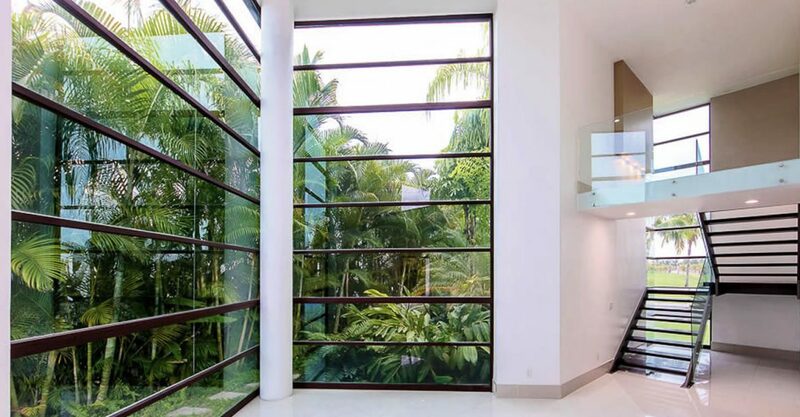 The home is beautifully finished with marble flooring and sliding glass doors which retract into the walls and offer stunning views. 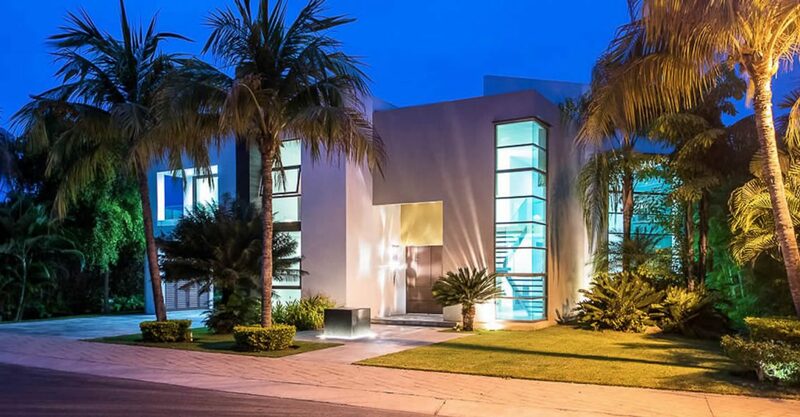 One of the most striking homes for sale in Nuevo Vallarta, this property is situated within El Tigre – a beautiful gated golf course community. 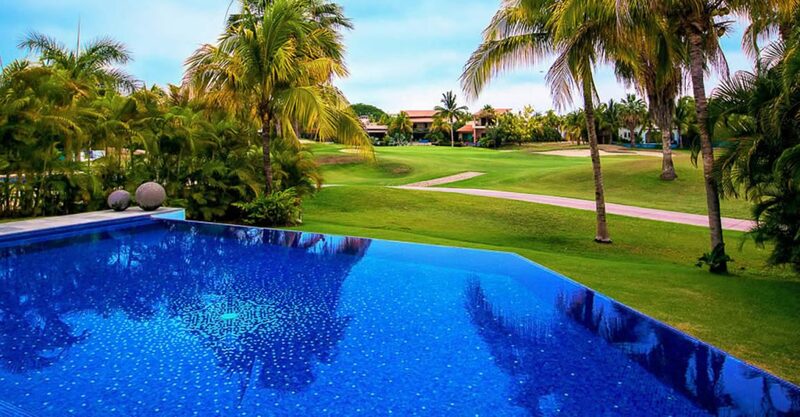 Residents benefit from access to various amenities within the community including a golf course, beach club, fitness center and 24-hour security. 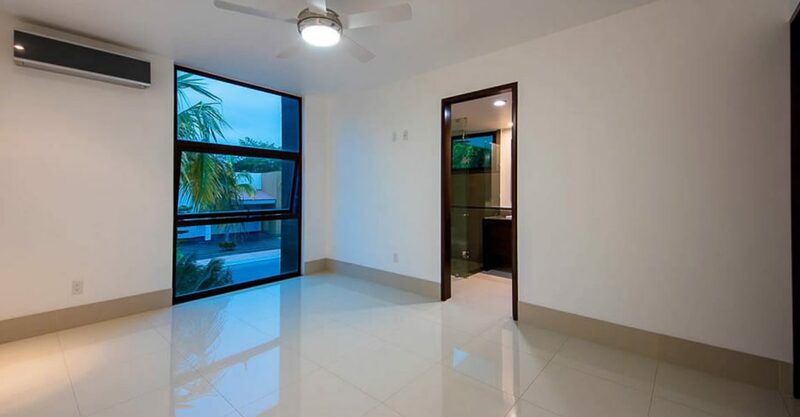 Well established real estate market offering a wide variety of property from attractively priced beachfront condos to ultra-luxury marina homes. 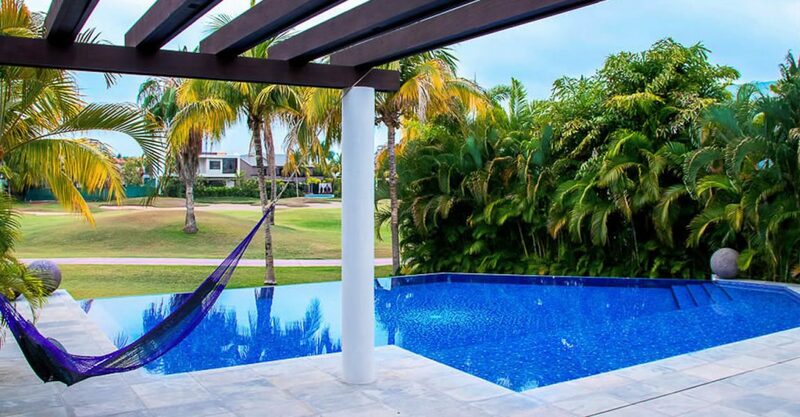 Vast rental income generating potential as a tourism powerhouse ranked in the world's top 10 most visited countries in the world and the most popular international destination for U.S. tourists. 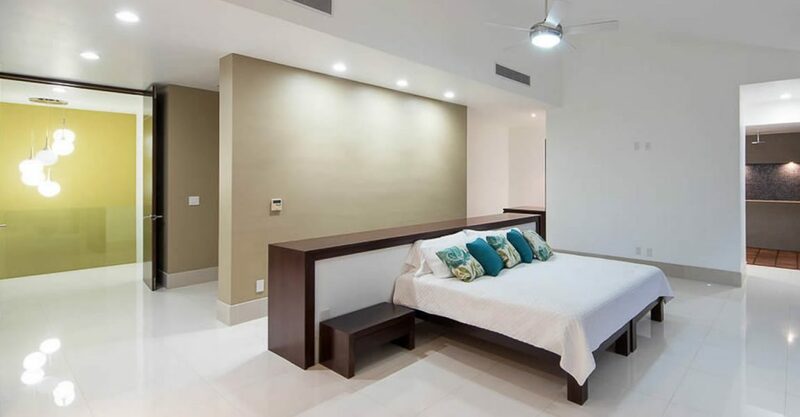 Latin America's second largest economy which has recently succeeded in attracting hundreds of millions of dollars of investment for the construction of over 100 new hotel and condo projects.